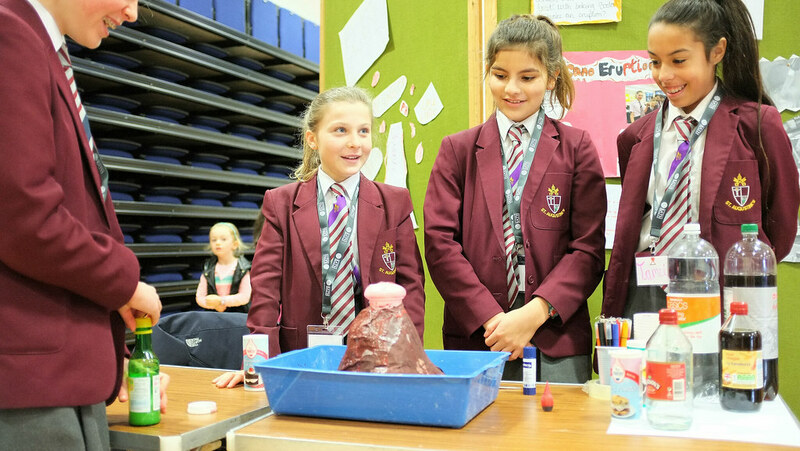 The University’s Widening Participation team held a celebration event for Year 7 & 8 students from The John of Gaunt and St Augustine’s Catholic schools in Trowbridge, who had recently taken part in a research project. Over forty students from both schools took part in an after-school project to carry out their own piece of research on a question of their choice. With the support and guidance of Sue Dimond, WP Outreach Officer and former Biology teacher and Tom Parry, WP science Intern who recently graduated with a degree in Biology, these enthusiastic young scientists regularly attended their schools' after-school science clubs to carry out their research and complete the project. The celebration event was the culmination and reward for all their hard work. Many of the students will now present their work at the Bath Taps into Science festival in March. In addition to the after-school projects, the Widening Participation team responsible for science outreach, headed up by Andrew Ross, Science Outreach Manager, has also been running another research project with 7 families from 4 primary schools in Trowbridge and the surrounding area. Each project was led by the child, working with their parent to answer their own scientific question. The team held weekly drop-in sessions to answer any questions from the children and their parents, who were all provided with a workbook to guide them through the research process. This initiative is designed for those parents who don’t have a Science, Technology, Engineering or Maths (STEM) background, in order to support their engagement with science and build Science Capital within the family unit. Andrew Ross, Widening Participation Science Outreach Manager added, "We designed these projects to give students the freedom to use the science they have learnt in class and apply it to ‘real world’ problems. Both the Year 7/8 students and their families get a lot out of the projects, and it’s great to see so many parents engaged in their child’s science education. We know from research that Science Capital has a direct influence on whether a child will aspire to become a scientist or engineer in the future. These projects go a long way to supporting this".